The Common Ground Foundation held its second annual “Common & Friends” concert at the famed Hollywood Palladium on Saturday night. 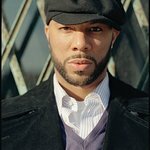 The show raised funds for the foundation, created by Grammy-Award winning hip-hop artist and actor, Lonnie Rashid Lynn, best known as Common. The concert featured live performances from Common, The Roots, Nas, De La Soul, Ludacris, Queen Latifah, Kanye West, Mos Def, Talib Kweli and Heavy D, while Freddy Rodriguez, Garth Trinidad, Rasual Butler, Toccara Jones, Serena Williams, Amber Rose, Erica Hubbard, Alyssa Milano, Eva Amurri and Ian Ziering were all in attendance to support the Common Ground Foundation.